When people are diagnosed with any kind of diabetes including type 2 diabetes, there is no doubt that they have to start healthy lifestyle. It is sure that diabetes can be a life changing circumstance for many people because it cannot be treated. Nevertheless, it does not mean that people with diabetes cannot achieve quality of life which is almost similar to normal healthy people. Because of the diabetes, people sometimes have a great worry for exercising but it is surely necessary for keeping their body healthy. 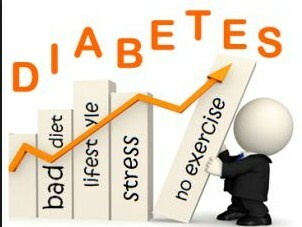 In this circumstance, they need to consider about some essential tips for exercising specialized for type 2 diabetics. It is important for diabetics to check their blood sugar level before and after exercising. They should consume 15 grams of fast acting carbohydrates if they find low blood sugar before working out. There are some options which can be chosen such as granola bar, read slice, orange, or apple. They should wait 15 minutes before recheck their blood sugar level. This process should be repeated until they get the blood sugar level within the normal level. They should consider protein rich snack if they find too high blood sugar level before exercise. People really have to listen to their body when they have type 2 diabetes problems and want to exercise. There can be a time when people feel like they feel weak and tired so they want to quit the exercise, it can be sign of low blood sugar and it can be found when people take the medication for lowering the blood sugar level. They just need to keep it safe by stopping their exercise and checking their blood sugar level. They should sip on the carbohydrate source with fast acting like pure fruit juice, sports drink, or 5-6 crackers to bring back the blood sugar level to the normal range. It is crucial for people to pay attention to things they eat after they exercise. They really have to refuel after working out because it can prevent blood sugar level drop. This is the time for replenishing the glycogen stores depleted in the muscles. They should eat 15-30 grams of carbohydrate from medium apple and 8 ounces of milk every half hour of the exercise. It is possible that the blood sugar level will be increased after exercise. They need to refuel their body with protein such as fish, beans, hard boiled eggs, Greek yogurt, and tofu.